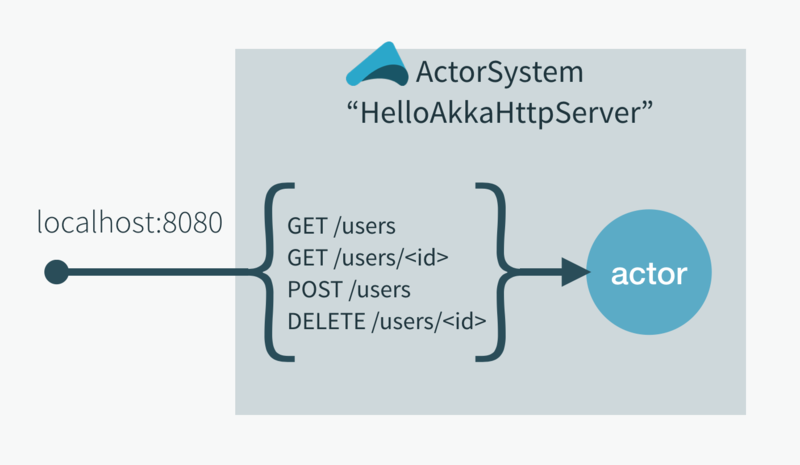 Akka HTTP follows a rather open design and often offers several APIs for accomplishing the same thing. You can choose the API with the level of abstraction that best suits your application. If you have trouble achieving something using a high-level API, you can probably find a lower-level API to use. The low-level APIs offer more flexibility but might require you to write more application code. Integrate the project into IntelliJ. If you prefer a different IDE, the principles should be similar, as long as it supports Java. QuickstartServer.java – contains the main class which sets-up and run all actors, as well as Akka HTTP routes. UserRoutes.java – contains Akka HTTP routes that the Server will serve. UserRegistryActor.java – implements the actor that handles registration. UserRegistryMessages.java – contains UserRegistryActor specific messages.